Why are guest preachers, speakers, and teachers still needed in Apostolic Holy Spirit Filled United Pentecostal Churches San Antonio TX? The pastor helps lead each individual Church. It is their role to guide the Church in spiritual matters, to instruct the church body in the scriptures found in the Bible, and to help grow the church in the name of the Lord Jesus Christ. It is crucial to the health of any Church body to have a pastor who is consistent, teaches from sound foundational understanding of the Bible, and who has a healthy personal relationship with Jesus. God has chosen each pastor to serve each Church body, and has selected those people to lean on and grow from one another for a reason. The Pastor of a local Church is should know and understand its Church body. They share regional location, common doctrine, and often personal relationships. However, this does not mean that the need for guest preachers, speakers, and teachers does not exist. A guest preacher, speaker, and teacher can bring a lot to the table that the primary preacher, speaker, or teacher is unable to do. For example, the guest may not share the same regional knowledge of the area and its people, but they do bring an outsider’s perspective to the matter. The guest preacher or speaker is not burdened with preconceived notions of what the Church body and/or its members are going through. For example, if the church is feeling fatigued by apparent lack of growth, a guest speaker may be able to provide advice on what to do differently and how to achieve that growth. A guest speaker is able to take a separate series of experiences and apply it to the Church body that it is present in. At time the guest speakers often come from larger and/or older churches, and the speakers themselves may be older and more experienced than the speakers they are coming to speak on behalf of. The guest preacher, teacher, or speaker brings with them a lifetime of experiences with which to teach from. They also bring with them the collected knowledge of what they have learned from studying the Bible, and they often carry with them different perspectives and insights from what they have learned. A great guest preacher, speaker, or teacher at your Church shouldn’t disagree with or discredit the teachings of your primary leaders, but should enhance them and provide them with deeper meaning. The role of the guest speaker in the Church body is to provide this different level of insight that the pastor may not have had, or that is just differently applicable than what the pastor would have taught. The guest speaker also has the advantage of being new and unknown during their time at the Church. The Church body does not yet know what to expect, and therefore is apt to be attentive and engaged in the message that the guest is bringing. This is no fault of the pastor’s, but their mannerism and patterns are already known and anticipated, sometimes lulling the Church body into inattentiveness. A guest speaker acts as a great way to shake things up, to bring the Church body out of that lulled repetitiveness and to engage them deeper into the message. This is a great way to deliver difficult messages, or those that need to be processed more attentively to be truly understood. The guest speaker is able to breathe new life into the Church, even beyond the time of their visit. A great guest speaker leaves a lasting and positive impact on both the Church body and its leaders. The primary pastor, speaker, or teacher also has tremendous need for the occasional guest speaker, alongside with the need that the Church body has. Being the leader of a body of dozens, and often hundreds, of people can be a taxing role. And while the strength of the Lord is more than enough to get the job done, it is occasionally refreshing for the pastor to share some of that burden with a guest speaker, even if it is just for a weekend at a time. It is also refreshing for the pastor to be fed as the learner, instead of the instructor. Again, the guest speaker is able to provide insight and instruction by looking at the scriptures and the Church from a different angle. This doesn’t mean that the meaning changes, but rather that there may be deeper context or different applications depending on the challenges being faced and the role that God has selected for each individual. The pastor is able to grow and to be rejuvenated by the presence and mind of a guest preacher, speaker, or teacher. 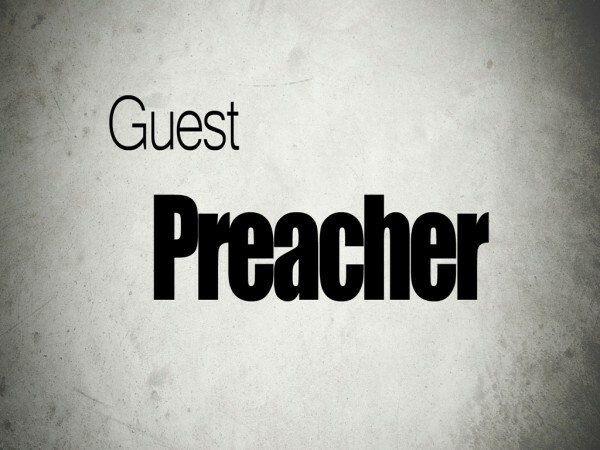 The presence of a guest preacher, speaker, or teacher is also a tremendous blessing to the one serving as a guest. He or she is able to be heard in a new environment, and with increased attentiveness as they come with an air of excitement from them being unknown to the Church body they are a guest it. It is a chance for one Church body to recognize and to celebrate the ways with which God has blessed and grown the individual. It is a chance for the guest to be able to praise God for all that He has done in them by sharing it with others. It is a tremendous opportunity for the guest to share their heart and their story with a new audience. And above all, it is an opportunity for God to shine through them in ways he may not have done before. The idea of a guest preacher, speaker, or teacher isn’t a new one either. The apostles themselves served as guests in Spirit Filled Apostolic Churches that sprouted during the early days following Jesus’ death and resurrection. The Apostle Paul utilized this role as a “guest speaker” to write his letters to the Apostolic Churches that would later become canonical books of the Bible. Guest speakers are needed in Full gospel Churches. Guest speakers are needed in the body. They allow the body to remain connected, to grow, and to be blessed by the moving Spirit of the Lord Jesus Christ. Pentecostal Life Church has been blessed to have Holy Spirit Filled guest ministers stop in to preach and teach from time to time. 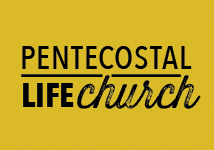 Pentecostal Life Church is a United Pentecostal Church San Antonio TEXAS area. If you are interested in joining one of the United Pentecostal Churches in San Antonio prayerfully consider Pentecostal Life Church. Pentecostal Life Church is located in a suburb of San Antonio, called Schertz TX.